In this blog post, I have decided to start presenting the results of my current work. So let’s start with an introduction to the HelloRoute application itself. HelloRoute is written in Java (1.6u11) and uses two open source libraries called jgraph and snmp4j. These two libraries provide most of the atomic visual and snmp communication frameworks and HelloRoute development was possible because of them. For source codes and library tutorials, please visit project homepages of these open source java libraries. I would like to present you a use case of basic TCP/IP visualization. So lets first draw create a network. For this purpose, I created a GNS3/dynamips environment small network (which was also a development environment) and started HelloRoute application while connected my Windows XP to the cloud in the GNS3. I have also double-clicked to the white space and created five routers with SNMP properties specified in a dialog box (see next picture). 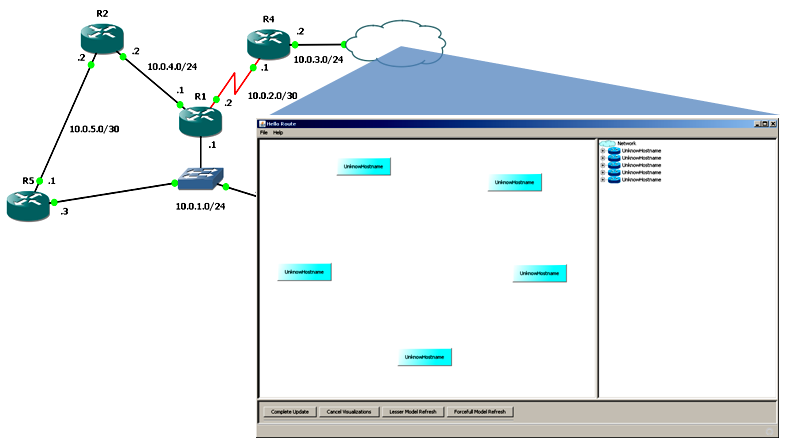 As you can see, SNMPv2 and SNMPv3 can be used, as well as other security or connectivity parameters. 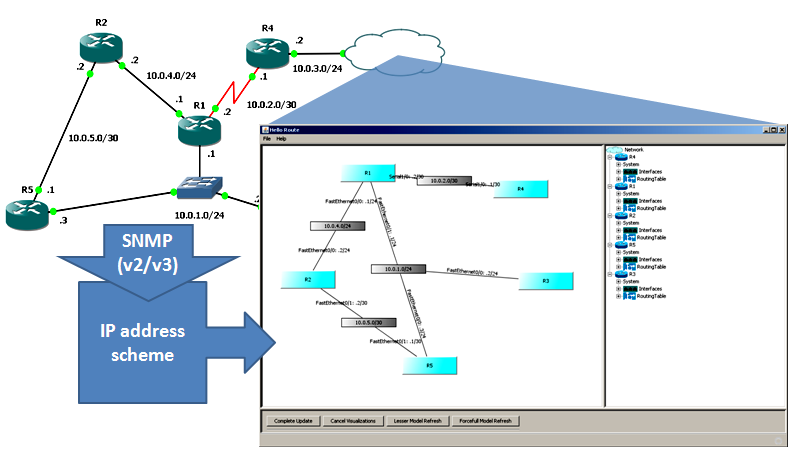 HelloRoute will use SNMP to receive all MIB2 objects and calculate a TCP/IP topology by adding interconnecting networks and creating an information source tree for every router. The visualization topology is fully interactive so if you do not like the layout, you can easily modify it by drag-n-drop functionality as can be seen on next picture. 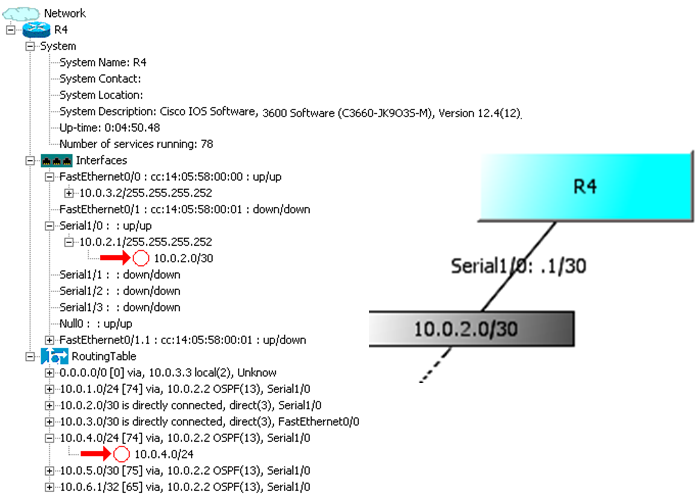 And here is a detail of basic router information that holds System information, Interfaces with IPv4 config and Routing table. 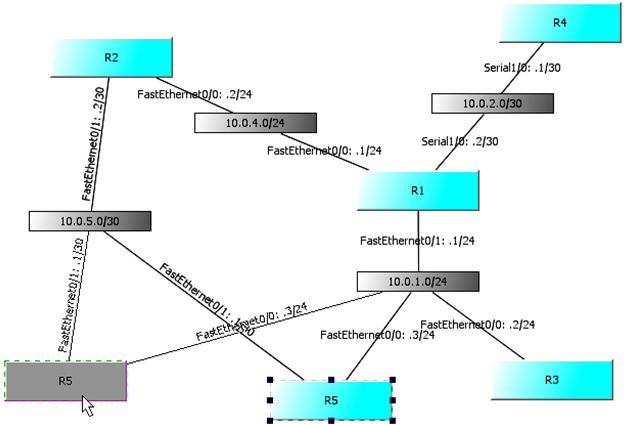 So this it HelloRoute application, it is a zero configuration utility for visualization of TCP/IP networks that is developed by myself. I hope you like the idea. I am working hard to make this application stable and will be releasing it shortly. Please if you have a suggestion or something to say, do not hesitate to do so.